As scientists prove the many benefits of daily mindfulness practice, more Westerners are getting interested in meditation. A recent study found that 8 percent of Americans meditate on a regular basis. Although meditation is one of the most popular mindfulness practices, any exercise that forces a person to pay attention to the present moment could be considered mindfulness – other popular mindfulness techniques include yoga, journaling, and even long walks in nature. The benefits of all mindfulness exercises are the same: better sleep, increased vitality, reduced stress, and, believe it or not, less physical pain. Mindfulness: A Cure For Chronic Pain? That’s right, many chronic pain patients have found relief from years of suffering by practicing mindfulness on a consistent basis. It might seem odd that consciously sitting with our pain could reduce it over time, but hundreds of studies now prove daily mindfulness practice changes how the brain perceives pain. If you’re suffering from a chronic pain condition, you should consider practicing some form of mindfulness every day. Need more convincing? Well then, read the five reasons mindfulness can help relieve physical pain listed below. By the end of this article, you should be thoroughly convinced of the healing power of mindfulness. One way mindfulness benefits people with chronic pain is by helping them see their pain from a new perspective. As you become more aware of your thoughts and feelings, you’ll be able to notice a negative thought pattern and change it quickly. With years of mindfulness practice, you’ll start to notice your subconscious mind actually starts generating positive thoughts and emotions. You could also consider supplementing your meditation practice with cognitive behavioral therapy (CBT). CBT practitioners work with you to recognize unbeneficial thoughts and emotions, analyze why they arise, and, eventually, change them. Let’s face it, chronic pain can be stressful. It’s no wonder a majority of chronic pain patients also suffer from mental disorders like anxiety and depression. Thankfully, mindfulness meditation has been shown to help people cope with the stresses chronic pain puts on their lives. By sitting with your anxiety and accepting it without judgment, you’ll find that your mental worries slowly melt away. MRI scans have shown that meditators have less pronounced “fight or flight” centers in their brains. As you decrease your anxiety, you’ll find that it’s far easier for you to manage daily tasks. Repressed emotions can manifest as physical pain symptoms. One of the best ways to release these deep emotions is by consistently practicing mindfulness. In addition to watching your thoughts during meditation, journaling and/or talk therapy are great ways to get at the root of what’s causing your pain. People who practice journaling on a regular basis have been shown to have stronger immune systems, less depression, and increased emotional intuition. Whatever form of mindfulness you practice, you’re sure to gain a better understanding of how your subconscious mind is contributing to your physical pain symptoms. Researchers at UC Davis believe one of the main reasons meditators have lower stress levels and their experience of pain is because mindfulness meditation removes two of the main triggers of anxiety: dwelling on the past and worrying about the future. It’s true that mindfulness practice brings us into the “timeless present.” Most people believe they’re in the present moment, but oftentimes our minds are somewhere in the future or the past…or even on the moon! Try it for yourself: follow your breath and see just how many subconscious thoughts rise to the surface. This is what Buddhist monks call the “monkey mind.” With dedicated practice, however, you’ll find it easier to let yourself relax in present moment awareness. Unfortunately, one major source of stress in the modern world comes from relationships. Instead of providing emotional support in difficult times, relationships with family, friends, and romantic partners tend to add anxiety to our lives. Luckily, mindfulness practice can teach us valuable listening skills necessary for healthy relationships. Since mindfulness practice stresses the importance of non-judgmental acceptance of the present moment, you will naturally develop more patience and become a better listener. With a heightened sense of your inner life, it will become easier for you to read the emotions of others from a non-judgmental viewpoint. This will make you far better at forgiving others for their faults and resolving conflicts. And believe it or not, numerous studies suggest that there’s a huge correlation between a person’s ability to forgive and his/her pain symptoms. By learning how to be more open to others through mindfulness practice, you’ll easily reduce interpersonal stress with all those around you. 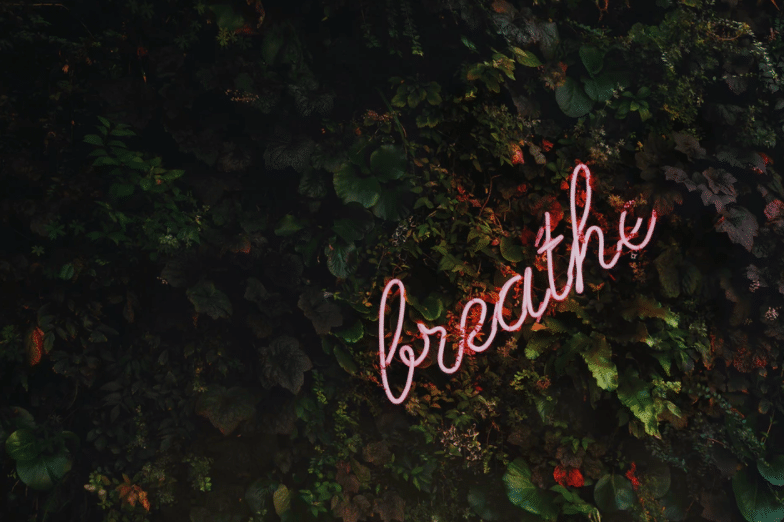 Before embarking on your mindfulness journey, you should know that the best way to accrue benefits from mindfulness is to practice it every day. It’s far better to practice for 15 minutes every day than to practice all-day sessions only on the weekends. It’s a great idea to set a time and prepare a quiet space for daily practice. Thankfully, there are numerous apps you can download that will remind you to practice. A few great mindfulness apps available for free include Calm, MINDBODY, Smiling Mind, and Insight Timer. People with chronic pain might want to consider purchasing the Curable app. This app uses mindbody therapy techniques, including guided mindfulness meditations, to help address your chronic pain symptoms. Also, chronic pain sufferers should incorporate other mindfulness practices in addition to meditation for better results. A few other easy mindfulness techniques include going for a relaxing walk every day or listening to soothing music. If your psychosomatic symptoms are debilitating, you might want to consider seeing a psychologist who specializes in chronic pain. Nobody who commits to mindfulness practice regrets it. There’s no doubt that mindfulness has incredible healing potential for people with a wide variety of psychological and physical symptoms. Within a few months of daily practice, you’ll be amazed to see the change in your mood and sense of well-being.